The Des Moines River serves as a primary water source for numerous communities within the Des Moines River watershed. It’s also a popular recreation destination for anglers, water sports enthusiasts, and people who enjoy the beauty of rivers. At approximately 525 miles long, it’s also the largest river in Iowa and a tributary of the Mississippi River. Central to the project is the removal of the Fort Dodge Hydroelectric Dam and a smaller dam, known as Little Dam, which lies two miles south. Constructed in 1916, the Fort Dodge Hydroelectric Dam generated electricity for the downtown street lights until 1971 when it was decommissioned. It has since been abandoned, with subsequent gate failures contributing significantly to a decline in water quality of the river. 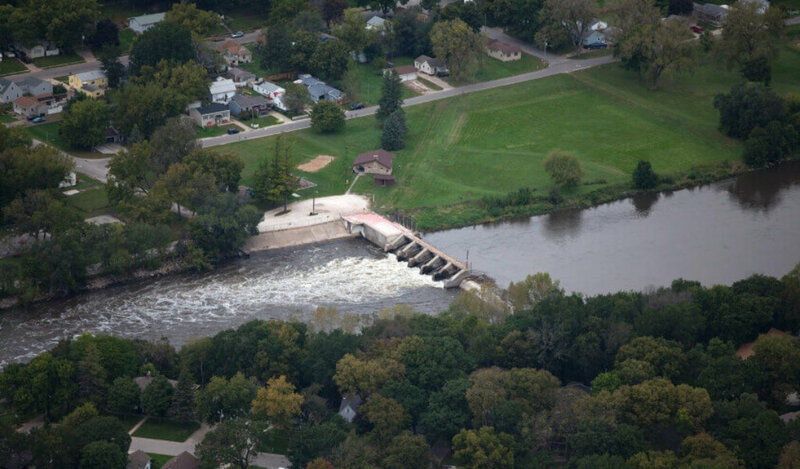 Both the Hydroelectric Dam and Little Dam were recommended for removal as part of the Des Moines River and Lizard Creek Water Trails and Corridor Plan. By demolishing the dams, the natural flow of the river can be restored, while providing positive impacts to the aquatic environment and safety for recreational users. In this instance, the environmental benefits of dam removal outweigh the benefits of maintaining the dam. Snyder & Associates initially secured funding from the Clean Water State Revolving Fund (CWSRF) program to pay for the dam removal. The program provides communities a low-cost financing source for a wide range of water quality infrastructure projects through a federal-state partnership. After further review of additional project funding streams, the Snyder Environmental team recommended the creation of a stream mitigation bank in lieu of using CWSRF funds. This recommendation adds significant value to the dam removal project for the City of Fort Dodge. Wetland and stream mitigation banks provide the opportunity to purchase credits for unavoidable impacts to aquatic resources. Section 404 of the Clean Water Act requires a no net loss of waters of the United States (WOTUS). Any loss of stream requires mitigation, which can be in the form of purchasing credits from a mitigation bank. The City of Fort Dodge and their stream mitigation bank can sell credits to entities that need mitigation for projects. Development of the stream mitigation bank included drafting a prospectus document and Mitigation Bank Instrument with review from the U.S. Army Corps of Engineers (USACE), Iowa Department of Natural Resources (DNR), U.S. Environmental Protection Agency (EPA), United States Fish and Wildlife Service (USFWS), and Natural Resources Conservation Service (NRCS). The mitigation banking instrument was developed to outline the dam removal process, identify enhancement and restoration efforts in the river, and calculate the number of credits generated by the removals and enhancements. 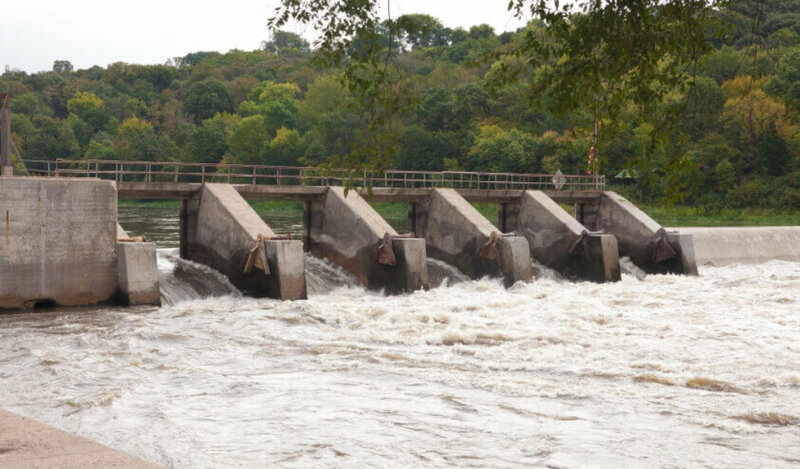 The bank approval process took approximately two years and was completed concurrently with deconstruction planning, agency coordination, and obtaining permits for the dam removal. Dam removal decisions can be complex. The upcoming demolition work will resolve decades of debate over the future of the Des Moines River dams. It requires regulators and owners to evaluate long-term maintenance costs against the costs of removal. Scientific research has improved our knowledge of river systems and the effects dams can have on a region’s environmental health. Since the project began, we’ve completed several tasks as part of a fluvial geomorphological assessment preparing the site for dam removal. 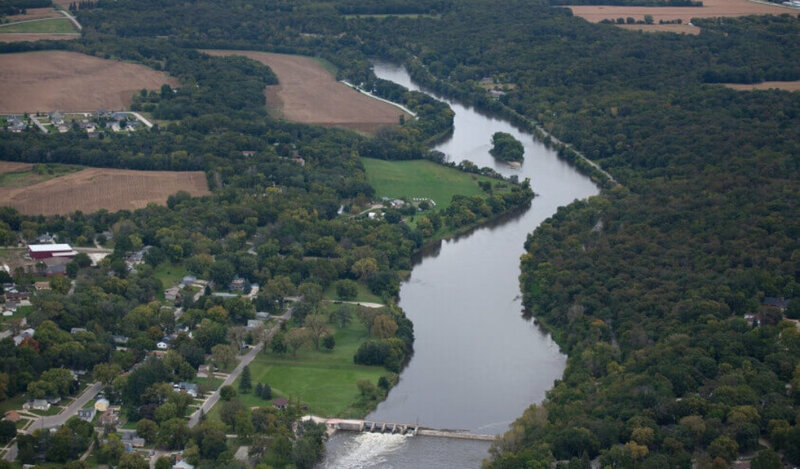 As we navigated the environmental compliance process, we worked with several regulatory agencies including the USACE, EPA, USFWS, and Iowa DNR to efficiently manage the restoration of the river. Removing a dam from a river requires permits from state, federal, and local authorities. Snyder & Associates has successfully navigated the permitting process numerous times, establishing valuable agency relationships. As a result, agency review time is reduced, which allows our clients to expedite their projects. These strategies were applied directly to the permitting required for Fort Dodge from the Iowa DNR with a review from local DNR fisheries. The permits included Sovereign Land, Dam Safety, and Floodplain, along with a Section 404 permit from the USACE. The City of Fort Dodge has awarded contracts for the dam removals with the schedule tentatively set for early 2019.